Shortly after the statement by Turkish Ministry of Foreign Affairs, China announcedAbdurehimHeyt is alive and he is in custody. Whereabouts of AbdurehimHeyt has been unknown for more than a year. Among his fans and relatives inside or outside the country, no one knows where he is living, is he alive, and he is in what kind of condition. We Uyghur activists living abroad also have made all our efforts but have not been able to get any information about him, therefore we remained silent. Mr. Bunyamin,Aksungur a friend of AbdurehimHeyt in Turkey must have also concerned about him. From his trusted people in Kashgarhe heard that AbdurehimHeyt was dead.Standing from humanitarian and brotherhood point of view, some Turkish media has been eagerly paying attention to the situation inside the camps. They used AbdurehimHeyt’s closest friend Bunyamin’swords as a source and announced news on AbdurehimHeyt’s death. Some have said the news is a fake one. If,you say the news is false (assume the Chinese video clip has no fault), then who is responsible for this mistake? Is the Bunyamin who could not hear about his friend? or the Chinese authoritywho has been hiding whereabouts of this famous artist from public, from his close friends and relatives? Or blame the news agencies,giving that it is extremely hard to obtain direct and independent news from East Turkistan? Or the Chinese authority that covered up East Turkistan like cooking pot and keeping the world completely in dark? About the responsibility here, it is the the Chinese authority that has been using news monopoly as an assurance of their existence for 70 years, organizing figurehead (afraid of asking negative questions) journalist and diplomats, setting up performing stages, and lying about the concentration camps? Or the journalists whose visa to Chine were expelled or rejected due to their reports telling the true stories? Recent news about AbdurehimHeyt has told the world another heartbroken reality in East Turkistan: more than 3 million Uyghurs have been in concentration camps, almost all of their families and relatives do not know anything about them, do not know what are their faults, even do not know when will they graduate from their “training centres”. Now we have learned the fate of our famous artist AbdurehimHeyt only after the announcement by the Turkish Ministry of Foreign Affairs. 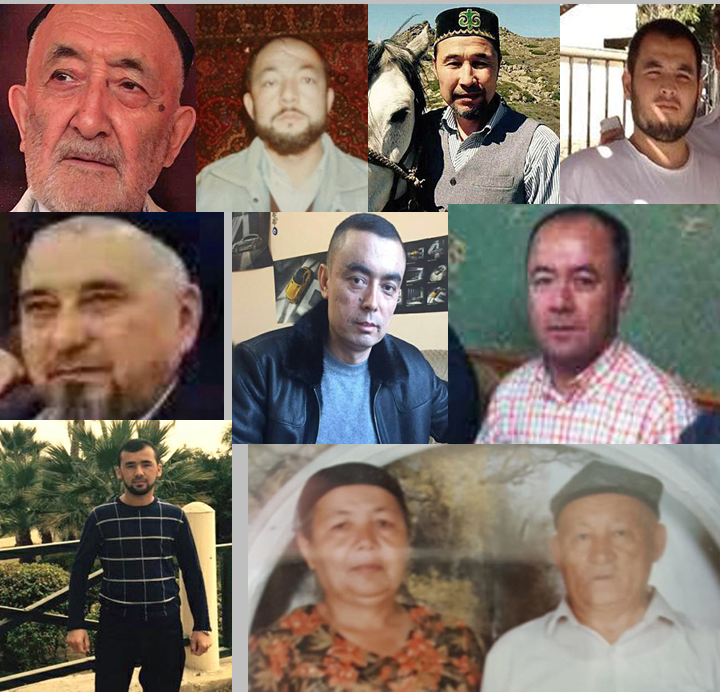 There are thousands of Uyghurs are crying on Turkish media and giving testimony about their parents, brothers and children locked up in the concentration camps whether if they are still alive or dead. These are all true. They are appealing for the Turkish government for help. These are all justice requirements. Chinese government should also give response to their questions. Through official channels, Radio Free Asia reported 25 people died in the concentration camps. China did not reject the news by showing a life video in the same way it did in the case of AbdurehimHeyt. That indicates that the RFA’s news is true. Then they should explain it to world media how they were died so mysteriously while they were all in good health on their way to the camps. We have also some concerns about AbdurehimHeyt’s video appearance and his situation. Apparently AbdurehimHeyt was brought to the screen to respond Turkish media. He said: “I am not being forced”. Who was asking him that question? Clearly that was not a journalist, they were police. In which location he is answering the questions? Clearly in a concentration camp. On what kind of demand his statement was made? It was for Chinese authority to defense themselves and to defeat Turkish media. According to a police, who works in concentration camp, among the “students”, only who behaved well, actively admitted their “mistakes” and actively exposed others’ “mistakes” are allowed to see their relatives once in a month in the camp. His friend Bunyamin and the Uyghur public did not hear from AbdurehimHeyt for a year indicates that he must not have admitted his so called crimes, for that reason he was separated from his relatives, and even he must have been tortured. The police officer also told RFA, when the prisoners meet their relatives in the camp, they must not tell their bad situation, must not talk in a sad mood, otherwise they will be punished. So, AbdurehimHeyt’s saying of “I am not being forced” itself is a result of a force. If Chinese authority can say AbdurehimHeyt was not tortured, then they should release him and give him a permission to go to any country with his family. If the camps are real education school, along with AbdurehimHeyt, China should set free the artists like Senuber Tursun, Adil Mijit, Zahir Shah, Ablajan Ayup and Rashide Dawut, set free the scholars and writers like Abdukerim Rakhman, Qurban Mamut, Rahile Dawut, Abdurakhman Ebey, Gulnar Obul, Abduqadir Jalalidin, Bahram Qurban. They are all well learned professionals in their fields, no need a professional education. Be believe the Chinese authority cannot deny any death happened in the concentration camps and prisons. Therefore the Chinese authority should close the camps and respond to the concerns of the Uyghur communities, international community including governments and organizations in the world. If Chinese government take a friendly advice from Turkish government, close the camps straightaway, that will not only save the lives of 3 million people, but also prevent Chinese government to continue commit a crime against the humanity and to prevent from history’s ruthless trial and punishment.